It’s pretty easy to turn the Stay Puft man into a piece of Edible Fiction. After all, he is a giant, scrumptious marshmallow. As a child watching Ghostbusters, he seemed to me at once frightening and appetizing. 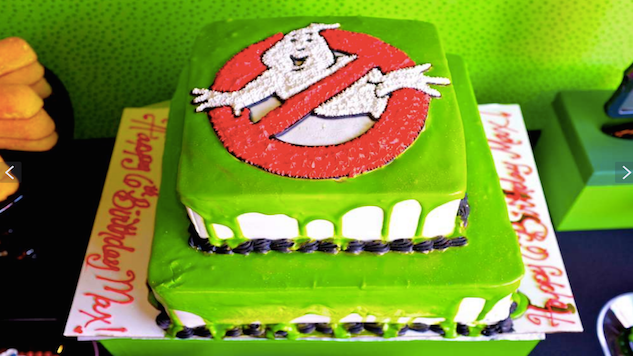 Slimer translates less easily into an enticing treat, as his green shade is far from the healthy, natural hue. Enjoy the new Ghostbusters movie, and no matter your gender, you too can get in the kitchen and enjoy these treats.